Ikea trip, to get new lamps, furnitures, hangers and whatever. Saving money plan!! Haha gna start soon. Common test preparation~~ I'm so dead i've been sleeping in class for this two months. V day belated gift, and monthsary anniversary gifts..
And yes!! 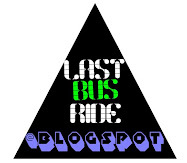 Support me, http://lastbusride.livejournal.com/3513.html#cutid1! Korean basic apparels preorder launched! I'm neeed more time, for everything. Cny this year is such a boreeeeeeeeee.